Tir Na Nog Irish Dance LLC, is proud to be the ONLY Non-Compettive Irish Dance School in the state! Come learn Irish Dance in a fun, loving, and supportive atmosphere! No points, no scores, no pressure! Tir Na Nog Irish Dance was voted #1 Irish Dance School by Boston Parent Magazine! Erika Damiani founded Tir Na Nog Irish Dance in 2012. Tir Na Nog strives to make a unique, fun, and family atmosphere for children to learn Irish Dance. Tir Na Nog Irish Dance teaches their students both Modern and Traditional choreography as well as hard shoe set dances and group dances. Open to children and adults of all ages, Tir Na Nog offers many levels of classes to accommodate beginner to advanced dancers. Tir Na Nog is a performance-based school and performs at various festivals, concerts, weddings, parties, schools, and nursing homes throughout the year. Tir Na Nog Irish Dance is home to the most dedicated Irish Dancers and is a place where children learn Irish Dance, make lasting friendships, and keep the tradition of Irish Dance alive! 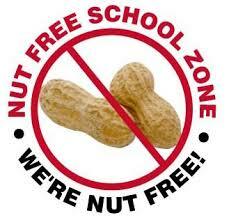 Tir Na Nog Irish Dance is also an entirely PEANUT and TREE NUT free Irish Dance School! Tir Na Nog Irish Dance has rolling enrollment all year long! * Private lessons available upon request! ** 4 levels of Summer Camp offered each summer! Please email Erika to inquire about joining and upcoming summer camp! Follow Tir Na Nog Irish Dance of Rhode Island on Facebook!